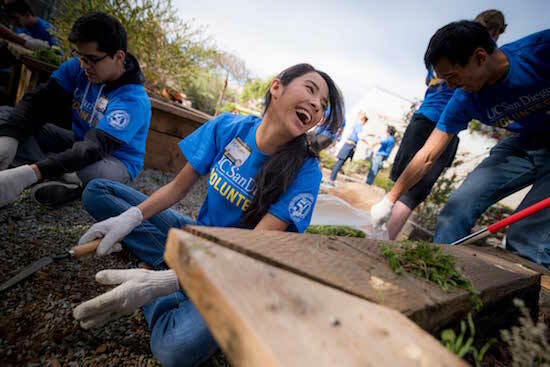 Jan. 20 | 9:00 AM - 12:30 PM | Mission Bay High School | Join UC San Diego in honoring the legacy of Dr. Martin Luther King by taking part in a day of service at Mission Bay High School, where we will be gardening, painting and working on other campus beautification projects. 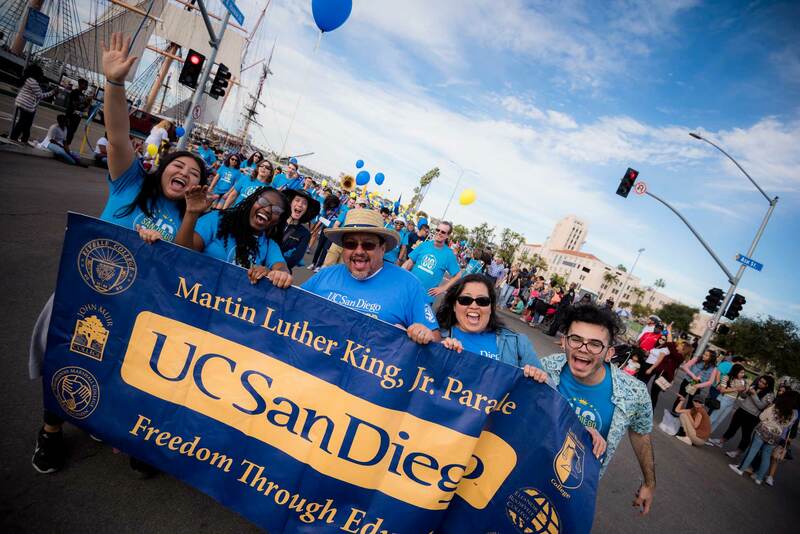 Jan. 21 | 2:00 - 4:00 PM | San Diego Embarcadero | March with UC San Diego in the 39th annual San Diego Martin Luther King Jr. Parade from 2-4 p.m. on Monday, Jan. 21 at the Embarcadero. This event is open to all, and free shirts and transportation are available for parade participants. 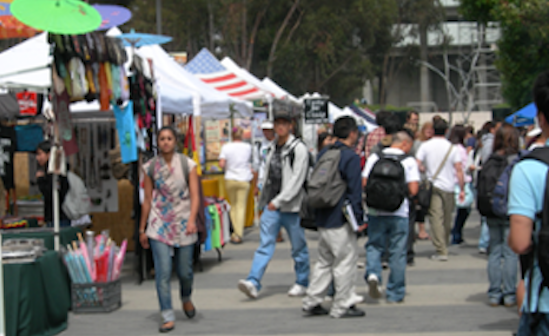 Jan. 22 | 10:00 AM – 2:00 PM | Town Square between Student Services Center and Chancellor’s Complex | Everyone at UC San Diego can make a positive impact on the community when they visit two new booths run by female refugees at the Tuesday campus farmers market. Vendors at the United Africa and United Latino booths will sell made-from-scratch dishes from their homelands. This effort is a continuation of the university’s long history of pioneering change and transforming communities. 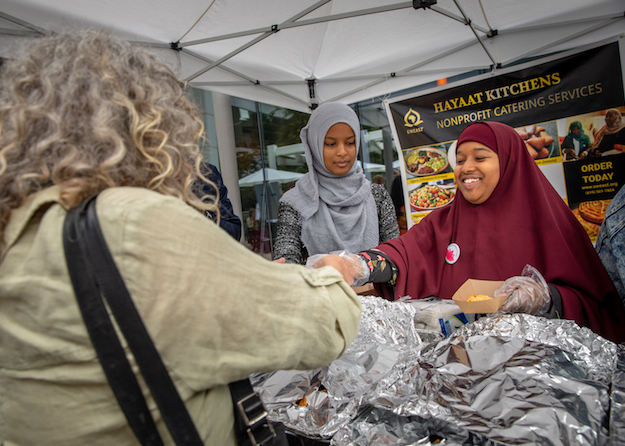 Be a changemaker all while enjoying injera and Somalian hot tea or pupusas and tacos! 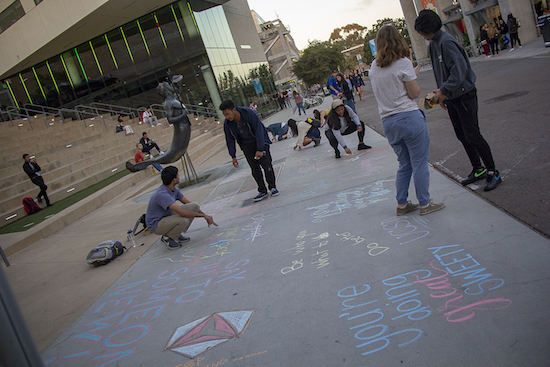 Jan. 22-24 | 11:00 AM - 2:00 PM | Town Square by the Triton Fountain | The campus community is invited to create art and/or positive messages about changemaking at Town Square by the Triton Fountain. Be sure to share your creation on social media with #TritonChangemaker for a chance to win prizes. 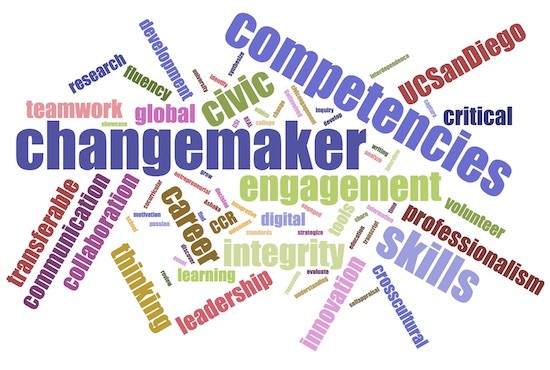 Jan. 22 | 4:00 - 4:50 PM | Price Center, Green Table Room | UC San Diego was recently designated a Changemaker Campus by Ashoka U, a premier international organization which recognizes exemplary campuses that model excellence in social innovation and changemaking! At UC San Diego, our vision is Every Triton a Changemaker. In this workshop, you will learn more about yourself as a changemaker and find out how you can make a positive social or environmental impact. Find out where you stand on the Changemaking Continuum and learn how you can get involved in campus and community efforts to address social and environmental issues. This workshop is part of iLead. 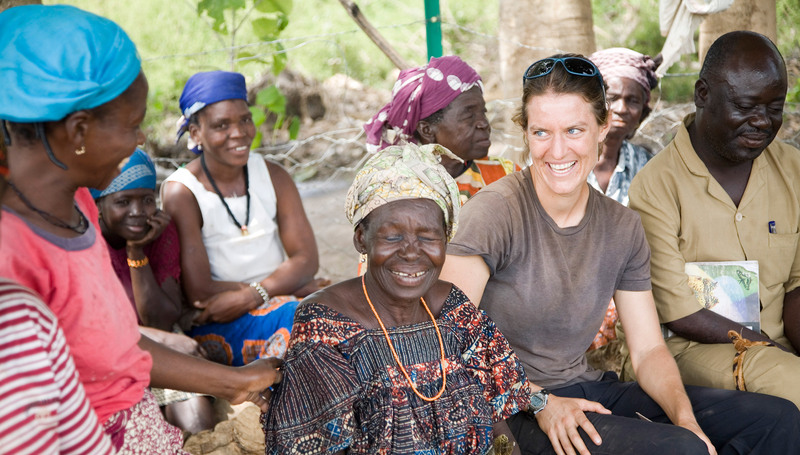 Jan. 22 | 5:00 - 7:00 PM | Price Center West, Ballroom B | Socially impactful research is one of the things that UC San Diego is known for. No matter the discipline – social or physical sciences, medicine or engineering, arts or humanities - in every corner of our campus faculty and students are dedicating their time and energy to finding solutions to pressing problems. Join us for an evening of innovative and inspiring research findings as part of UC San Diego’s Changemaker Week. Click the registration button to see the list of confirmed speakers. Jan. 23 | 10:00 AM - 3:00 PM | Library Walk | Looking for ways to become a changemaker? Visit UC San Diego student organizations involved with community engagement at our Community Service Fair on Library Walk. Get inspired and get involved! 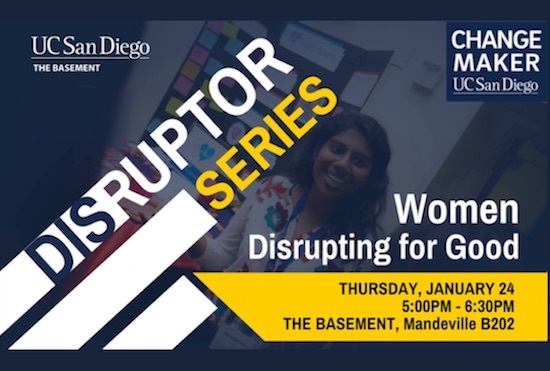 Jan. 23 | 2:00 - 3:30 PM | Price Center, Marshall College Room | UC San Diego was recently designated a Changemaker Campus by Ashoka U, a premier international organization which recognizes exemplary campuses that model excellence in social innovation and changemaking! At UC San Diego, our vision is Every Triton a Changemaker. In this workshop, you will participate in a community building dialogue where you will learn about changemaking and share your own ideas, thoughts, and insights on how to make change! Jan. 23 | 6:00 - 9:00 PM | The Loft | Join us for free dinner and a film to celebrate Changemaker Week 2019! 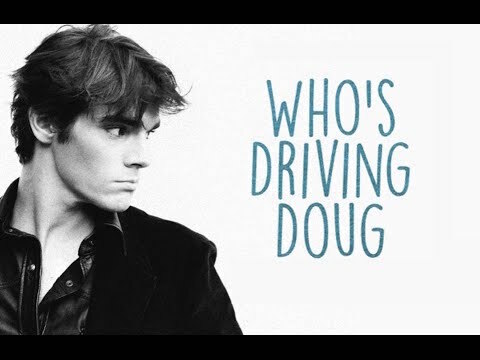 UC San Diego Alumni is excited to screen, Who’s Driving Doug, an independent drama released in 2016. The film follows Doug (RJ Mitte, Breaking Bad), an introverted, sheltered student with muscular dystrophy who embarks on a spontaneous road trip with his driver and college crush in order to get away from his overbearing mother. Alumnus, Michael Carnick ’07, will be in attendance to share his inspiration for the film and answer questions. Seating is limited – we look forward to you joining us for this exciting event! This event is sponsored by The Loft & UC San Diego Alumni. 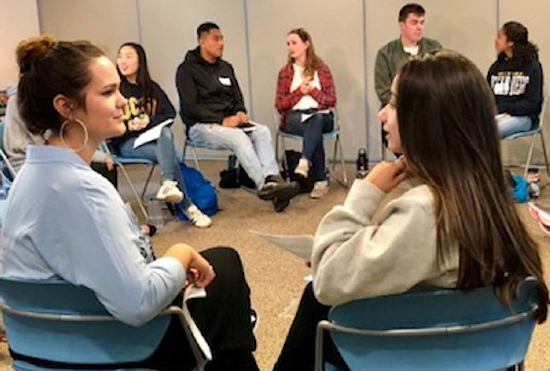 Jan. 24 | 11:00 AM - 12:00 PM | Price Center, Earl Warren Room | Connect with fellow UC San Diego student changemakers and learn how to capture and share your experiences and career-readiness competencies developed beyond the classroom. This workshop will provide an opportunity to translate the value of your contributions and showcase your work. This workshop is part of iLead. Jan. 24 | 5:00 - 6:30 PM | The Basement | As we face ever-growing societal and environmental challenges, we are increasingly looking to social impact leaders to learn from their methods for creating positive change. In this panel focused on disrupting for the greater good of society, we will hear from exemplary impact leaders who are mobilizing change. The discussion will examine impactful innovations, technologies, and businesses that are positively disrupting the status quo to catalyze change. 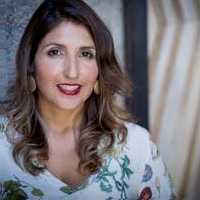 Jan. 25 | 3:00 - 4:00 PM | Eleanor Roosevelt Room, Price Center | Edith Guerrero, international program manager, will share her narrative as a Latina with a bicultural upbringing in Mexico and the United States and how that ultimately led her to the impactful work she has done globally. 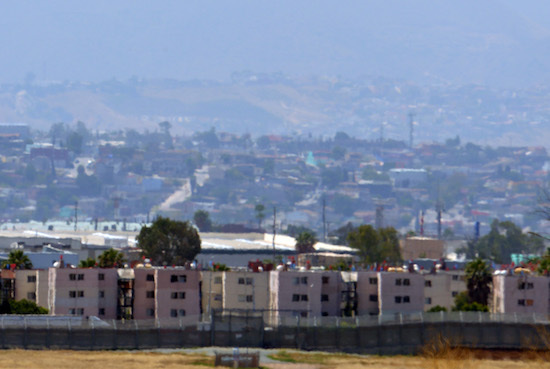 POSTPONED - The January visit has been postponed due to increased activity along the border regions. We will reschedule the trip ASAP. For additional information or to be added to the waitlist, click on the link below.